The companies on the LM150 list are chock full of good ideas that firms of any size can learn from. We take a look at 13 programs, systems and philosophies that can help you boost business in 2013 and beyond. Hiring subcontractors can be expensive, and after a decline in profits in 2011 the folks at American Landscape Systems were on a quest to save money. 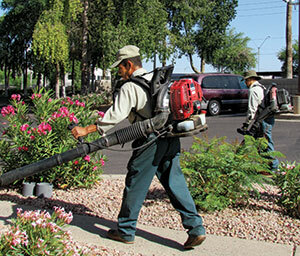 So in 2012, the company decided to bring in-house all the landscape services it had been shipping out to subcontractors, including chemical applications, hydromulch services, mowing and tree services. The move paid off. Why? Because in 2012 American Landscape Systems was able to recapture 100 percent of the profits it previously had lost to subcontracting. In looking at its numbers from 2011, American Landscape Systems had to reevaluate its practices. Bringing services in-house enabled the company to establish a stronger presence in the competitive Dallas market. In making the transition, the company made an initial investment of $200,000 in equipment and staff. It trained its workers, hired a licensed applicator and bought chemical application equipment, trucks, trailers and hydromulch equipment. It’s much better, he says, to have your own employees—and American has 110 of them year-round—getting face time and interacting with clients. Today, the company pays for minor upkeep on the equipment as well as for the ongoing labor costs, which are only about 20 percent of what they were with subcontractors. “Now we can capture $750,000 to $800,000 more of gross profit than we could before,” Angelone says. Finding an experienced licensed chemical applicator wasn’t easy, Angelone adds, so the company hired a new person with no experience, sent him through training and built the department around him. “It took four to six months for us to get him ready, but he matched our company style,” Angelone says. The insourcing delivered, and not only on profits. Never underestimate the power of a good motivational seminar. After attending a GIE+Expo presentation extolling the virtues of the four-day workweek, Ivan Giraldo decided to implement the idea at his company. “We started pushing it very hard and implementing it in 2008,” says Giraldo, who is president of Austin, Texas-based Clean Scapes. Five years later, Giraldo is pleased with the results. Shifting the company’s property-maintenance crews to four-day workweeks has reduced overtime and helped manage steadily creeping fuel prices, Giraldo says. The shorter workweek has led to a 10 percent reduction in overall labor costs for the company’s property-maintenance division, which employs 130 or so people during the busy season, he says. Giraldo also has seen a reduction in vehicle wear and tear. “The less time they’re out on the road, the better,” he says. Less time on the road also equals less fuel consumption. While Giraldo notes that rising fuel prices have erased any potential savings from the shorter workweek, the company has been able to keep its fuel costs flat—a nice achievement in today’s environment. There have been a few speed bumps. Hourly crew workers worried that their paychecks would take a big hit from the shorter workweek. “We had a little bit of pushback from the crew members,” Giraldo says. They bought in, though, when they saw they still could log 40 hours of work—plus a few hours of overtime—in a four-day span, with the added bonus of an extra day off. Another concern was getting five days’ worth of work done in four days. 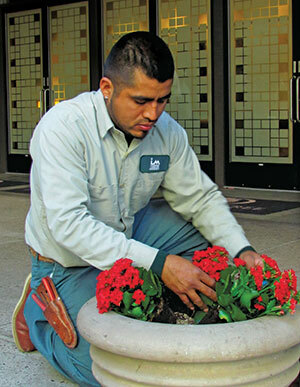 However, Giraldo notes that property-maintenance crews have adapted beautifully. Around the same time Clean Scapes shifted to a four-day workweek, the company installed GPS tracking devices on all of its trucks. While Giraldo emphasizes that the company uses the devices to help with time tracking, route selection and job costing—and not as a punitive tool—he acknowledges the mere presence of the GPS devices encourages workers to use their time efficiently. 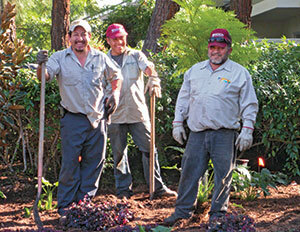 Landscape companies provide the most value when their crews are out in the field—not in the office filing paperwork. That’s why Phoenix-based DLC Resources equips its managers, foremen and other field personnel with iPhones and iPads, CEO Jeff Penney explains. Since the initial rollout in spring 2012, Penney estimates that 130 field personnel—including foremen, mechanics and irrigators—now have iPhones, while some 30 department and field managers have iPads. Penney points to several examples of how the mobile devices have boosted communication, improved document management and made processes more efficient. Armed with iPhones, foremen now electronically file their timecards on Friday afternoons, versus the old method of bringing their paper timecards to the office on Monday mornings. The devices also have changed the dynamic between field personnel and customers. Each planned community serviced by DLC Resources has access to a customized Web portal, which includes work orders, proposals, weekly schedules, maps and other pertinent information for the landscaper and the client. Field managers now can connect to the Web portals via an icon on their iPads, giving them access to key project documents that previously might have been available only in paper form. Among other key benefits, the mobile devices have made it easier to locate underground utilities. Using Google Maps and an iPad app called GIS Pro that harnesses geographic information system technology, field personnel can geolocate underground utilities—or “blue stakes,” as they’re called in some parts of the country—more precisely before excavating. “It removes the guesswork from the process,” Penney says. While DLC Resources is reaping the benefits of equipping its field personnel with electronic devices, this is not the company’s first foray into mobile technology. Prior to spring 2012, field managers carried BlackBerrys. However, the company has found that the Apple devices “are a lot more capable and user-friendly,” Penney says. You don’t have to be a schoolteacher to be rewarded for educating others. Just ask the staff at Earthworks. In 2009, Earthworks began educating its commercial clients on drought management and water conservation methods. It found that teaching can be quite profitable. To create goodwill, Earthworks decided to talk to its clients and explain to them the right way to make those repairs—not for a fee, just as a courtesy. The result surprised Lee. Earthworks’ initiative to educate clients on responsible water use took another lucrative turn in 2012, when conversations about water shortages, restrictions and drought became more frequent in Texas, faced as it was with one of the fastest-growing populations in the country. Earthworks began hosting free monthly classes for clients, classes that covered the efficiency of ET-based controllers, drip irrigation and other water-related tools and methods. The classes inform clients not only about water issues, but also about the impact of shade on plants, tree trimming’s importance and how to budget for projects in the long term. Despite its good intentions, the program is translating into a profiable endeavor. For one, it costs Earthworks very little to implement, other than the time it takes to strategize the classes and the cost of the breakfast or lunch the company serves during the sessions. The company hasn’t had to make any new hires for the initiative, either. Lee says the free classes, along with customer referrals garnered from it, generated about $400,000 in new maintenance accounts for Earthworks in 2012, accounting for just more than 3 percent of its $13.1 million revenue. 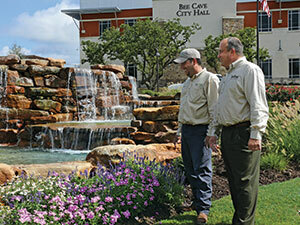 Integrated Landscape Management’s customer-retention rate has consistently registered in the 90 percent range, says Robert Clinkenbeard, founder and co-owner. The company’s focus on customer satisfaction is a major reason ILM has grown from a small start-up out of a garage to a $15 million operation with 270 full-time employees. Clinkenbeard and John Garigen founded the company in 2001 and have focused on steadily growing the business by building client relationships. As the company has expanded, Clinkenbeard has further emphasized client retention and employee professionalism. Last year the company invested in additional client relationship training. One training exercise involves weekly role playing on potential customer concerns. ILM account managers involved in the role-playing exercise then will review processes and procedures to handle client complaints. 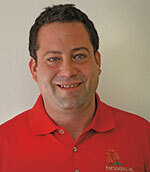 In addition, Clinkenbeard has redefined account managers’ responsibilities so they’re more focused on serving clients. They’re not expected to handle as many operational issues as they had in the past, such as staffing issues, Clinkenbeard says. ILM also conducts quarterly meetings with select customers to find out how the company can improve its service, Clinkenbeard says. “We recognize our clients are busy, so we try to identify ways to make their jobs easier, maybe by less paperwork and making the process simpler so they don’t have to worry about their landscaping,” Clinkenbeard says. For instance, ILM plans to release an app in June that that will allow clients to view their property’s quality scores or request work on the property. ILM primarily serves commercial clients, so the app is designed to help these customers save time and focus on their core responsibilities. The company is also hiring account managers who are more professional and “polished,” Clinkenbeard says. “I think all those things are contributing to higher retention rates and higher extra sales,” he says. 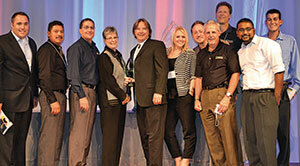 Customer-satisfaction surveys indicate the company’s efforts have paid off. Two years ago the company’s customer-satisfaction rate was about 75 percent and the most recent survey score was about 90 percent, Clinkenbeard says. You don’t build relationships sitting behind a desk, says David DuBois, president and CEO of Mission Landscape Cos. in Irvine, Calif. 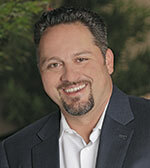 Sluggish growth following the global recession forced DuBois to rethink his company’s approach to developing clients. In 2012, DuBois eliminated three traditional sales positions, added an event marketing person and asked his vice presidents and regional managers to focus on the company’s existing client base. The initiative required top-level managers to address client needs with in-person visits vs. phone calls and emails. So far, the strategy has paid off. In 2012 the company experienced 13.5 percent growth compared with 11 percent growth in 2011, DuBois says. Face-to-face communication gives Mission Landscape managers an opportunity to educate customers on seasonal needs, such as overseeding in the late summer, and other services that are available, DuBois says. For example, the company recycles tree trimmings into mulch. Mission Landscape then offers mulching at a discount to customers receiving the trimming service since the company doesn’t have to transport the material. The approach is particularly useful with the commercial clients that Mission Landscape serves. That’s because commercial customers are typically working within a budget. “You have to be ahead of them; you have to let them know what’s coming next,” DuBois explains. “In the commercial market they’re always forecasting. Looking ahead on the quarters makes a big difference rather than being reactive on a month-to-month basis. One service Mission Landscape Cos. offers is recycling clients’ tree trimmings into mulch. Photo: Mission Landscape Cos. Employee education has long been a priority at The Pattie Group, says Jonas Pattie, LIC, executive vice president, and from the moment they’re hired, all employees are given a career path and a job “buddy.” And training isn’t just provided, it’s required. Everyone in the company must take 45 hours of continuing education each year and is given a minimum annual budget of $300 to that end. Out of the 45 required education hours, some training is done in-house by The Pattie Group experts. 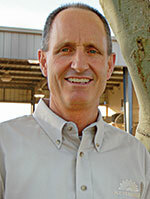 For example, the company may organize a training seminar by their head arborist to talk about tree disease. In other cases, particularly for sales, employees will take courses externally. The company started its education program 15 years ago and has refined it in the last five years to provide clarity and more tools so everyone is aware of the expectation. One example: The group recently reworked its evaluations to make them more specific, detailed, actionable and measurable. “From the moment an employee walks in the door, we want them to know what their goals are, what’s expected [of them], what they’re measured on, and really what it takes to be considered an excellent employee,” says Pattie. Education doesn’t come cheap, however: Pattie estimates the annual cost of classes and paying speakers to come in easily runs $25,000, and that doesn’t include downtime when employees are in class. Dale Selby is excited, because in 2012 Southern Botanical strove to better manage its crew hours, and the company succeeded. Southern Botanical turned away from Excel to a cloud-based program called Method Integration to track its crews’ hours and overtime. “We said, ‘Let’s automate this and see some results from it,” says Selby, Southern Botanical’s director of corporate finance. For a company that has 150 crew workers and foremen in the field, those are important questions to answer. Southern Botanical has taken other steps to grow in the last year, among them: bringing its tree care and pool work in-house and encouraging staff to pursue professional certifications and participate in industry associations. Because of all those initiatives, Southern Botanical is poised for nearly 20 percent growth from 2012 to 2013, Selby says. 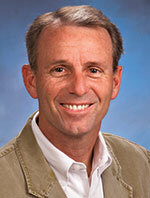 In fact, he adds, the company had its best month ever this March, when it saw $2.56 million in top-line revenue. What do you do when your family company has outgrown its roots? Rebrand. That’s what The Stockner Group did when its leaders realized they needed to educate clients about the many facets of their business. Started by the current owners’ grandfather in 1981 as a nursery, the company’s expertise now encompasses everything from hardscaping to snow removal—but its reputation hadn’t kept pace with the growth. 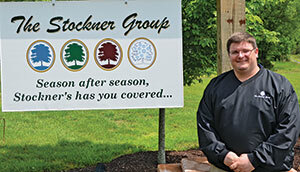 “We needed people to know The Stockner Group means a lot of different things, that this division specializes in irrigation, this division specializes in grounds management, this division in landscape,” says President Gary Stockner. The rebranding initiative was the idea of newly hired COO Steven Cohen, who was brought in to help direct the company’s growth. By bringing clarity to the brand, says Stockner, current and potential clients now know that Stockner’s is a one-stop shop for grounds care, and each division is run by experts with many years of experience. The company began with a gradual integration of equipment, starting with propane-powered mowers, a compost pile, electric-powered trimmers and blowers and organic lawn treatments. It replaced and upgraded equipment as needed in phases. The company also has introduced green guarantees in some multi-year contracts, pledging an annual increase of environmentally sound practices over the life of the agreement. Clients see The Stockner Group is taking environmental sustainability seriously, Stockner says, and can hold them accountable. 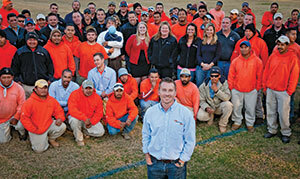 The idea to hire a full-time recruiter had been bouncing around Swingle Lawn, Tree & Landscape Care for a couple of years, and while the company knew having a hiring expert on board would alleviate some of the existing staff’s workload and give the company a competitive edge, it held off because of the recession. As the economy began to improve over the last few years, Swingle was already having difficulties finding qualified personnel. So many people had left the landscape industry during the recession that Swingle found itself in a bit of a hiring bind trying to get experienced employees to return and make potential employees aware of the career opportunities in the business. Company leaders made the move and hired a full-time recruiter last spring. The results, says CEO and owner Tom Tolkacz, will be gradual and long term.The goals are employee recruiting, retention and development and moving to a proactive instead of reactive approach to hiring—always having a pipeline of quality candidates available, something he sees as a necessity for business growth. 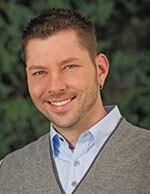 He says landscape industry experience is not the most important qualification in a recruiter. He looked for someone who was passionate about searching out the best candidates, understood the company’s core mission and values and could effectively sell Swingle as an employer and sell the Green Industry as a career path. The spring has been tough for Colorado landscapers, as winter’s cold and snow persisted, and demand for Swingle’s services has been lower than usual, which has led to overstaffing. “This time last year, we were probably 15 percent understaffed and this year we’re about 15 percent overstaffed,” says Tolkacz. Colorado also is in a drought and under water restrictions, so Swingle has been using various forms of outreach, including social media, to educate residents about water use and how the drought will affect their landscaping. Mark Bradley isn’t a big fan of paperwork—in particular, the kind that involves actual paper. Through the use of mobile devices and cloud-based information sharing, paperwork is becoming a thing of the past at TBG Landscape—and the company’s bottom line is reaping the benefits. “It’s cloud-based, and it allows us to share estimate information, in real time, between our salespeople and customers, and ultimately to break the information down to the crews,” Bradley explains. “From an estimating and sales perspective, [field personnel] don’t have to rely on looking at an estimate spreadsheet and wondering if this is the latest version, or if they’re reviewing something that isn’t right and approving something that isn’t what the salesperson is currently presenting,” Bradley says. The company saw enough value in the cloud-based approach that it decided to apply it to other functions. TBG developed an in-house Web portal—“The Hub”—to enable field personnel to access project information, time sheets, HR forms, equipment-repair requests and other previously paper-based documentation, all on their mobile devices. Coinciding with the shift to cloud-based data sharing, the company has invested in tablet PCs for its supervisors and independent workers and put mobile devices in the hands of more of its field personnel. Overall, the results of the paperless initiative have been nothing short of “fantastic,” Bradley says. Given TBG’s rapid growth, the company likely would’ve needed two full-time administrative employees to process and compile the paperwork associated with timekeeping forms, equipment-repair requests, refueling orders, vendor transactions and other functions. With all of those tasks now conducted electronically, TBG has been able to redeploy one administrative employee and avoid hiring a second one, Bradley says. “The operational savings that I get in a week probably would pay for what we’ve invested in the tablets,” Bradley says. There’s something about face-to-face communication that makes for a tighter bond between a company and its clients. And in 2012, the staff at Terracare Associates got a valuable lesson in that, monetarily and otherwise. In late 2011, Terracare devised a plan to strengthen client relationships, ramping up its efforts to communicate with every client in person and tracking staff’s communications with each. 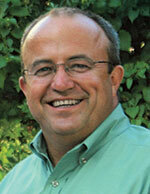 The initiative, says President Dean Murphy, applies to everyone from managers down to field superintendents. Terracare tracks its client touches with spreadsheets. 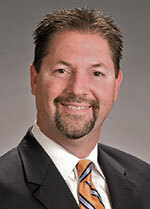 Murphy says the company shows its appreciation for clients based on customers’ interests. One Terracare salesperson, for instance, is an ex-professional golfer who gives clients free lessons, then takes them out for a round of golf. “Clients think that’s really cool,” Murphy says. Although it’s still too early to see major returns on its customer touches, Terracare’s customer retention numbers are up by about 4 percent from 2012 to 2013, Murphy estimates. And although the company’s spent slightly more on marketing in the last year, the overall cost of implementing the changes has been minimal, Murphy says. Brian DuMont started Yard-Nique as a two-man operation shortly before graduating with a horticulture degree from North Carolina State University in 1997. Since then, the company has averaged 20 to 30 percent growth annually, except for the Great Recession year of 2008, and expanded its workforce to 260 employees. 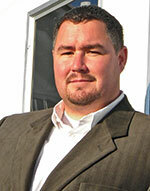 DuMont attributes much of Yard-Nique’s success to a focus on “controlled growth.” That means occasionally turning down work to stay focused on core business practices, such as budgeting and ongoing training, DuMont says. It also means adapting to change. In recent years, DuMont noticed some of his longer-term employees struggling to accept the changes necessary for growth. DuMont addressed this communication challenge with enhanced training, evaluations and goal setting. Yard-Nique’s different divisions, installation and maintenance, each receive various training sessions at least once per month. The departments receive training on company standards to ensure everyone is on the same page, DuMont says. A representative from each department leads 15-minute to 30-minute sessions on various topics, including safe mower operation, proper planting techniques and calibration of fertilizer spreaders. The training process also includes “ride-alongs,” when managers accompany crews to ensure everyone is following company expectations, DuMont says. Yard-Nique also invites vendors to provide training sessions.